Sure you know of Haematology….do you know Karl Landsteiner ? ~ and what is wrong with these women happily posing ?!?!? Haematology is the study of blood, of the blood-forming organs, and blood diseases. The laboratory work that goes into the study of blood is frequently performed by a medical technologist. Today it is well known that persons with blood group AB can accept donations of the other blood groups, and that persons with blood group O can donate to all other groups. Individuals with blood group AB are referred to as universal recipients and those with blood group O are known as universal donors. In modern time, blood transfusions only concentrates of red blood cells without serum are transmitted, which is of great importance in surgical practice. 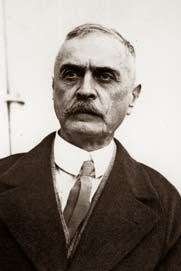 Karl Landsteiner was an Austrian biologist and physician (June 14, 1868 – June 26, 1943). He is noted for having first distinguished the main blood groups in 1900, having developed the modern system of classification of blood groups from his identification of the presence of agglutinins in the blood, and having identified, with Alexander S. Wiener, the Rhesus factor, in 1937, thus enabling physicians to transfuse blood without endangering the patient′s life. With Constantin Levaditi and Erwin Popper, he discovered the polio virus, in 1909. In 1930 he received the Nobel Prize in Physiology or Medicine. He was awarded a Lasker Award in 1946 posthumously and is recognised as the father of transfusion medicine. Based on his findings, in 1907 the first successful blood transfusion was performed by Reuben Ottenberg at Mount Sinai Hospital in New York. He is recognised as the father of transfusion medicine. According to a bloodbank website, every year our nation requires about 4 Crore units of blood, out of which only a meager 40 Lakh units of blood are available. The gift of blood is the gift of life. There is no substitute for human blood. Every two seconds someone needs blood. More than 38,000 blood donations are needed every day. Accident victims, child birth, transfusion, chronic kidney ailment patients, people undergoing surgery – all require many units of blood. Blood cannot be manufactured – it can only come from generous donors. Type O-negative blood (red cells) can be transfused to patients of all blood types. It is always in great demand and often in short supply. Type AB-positive plasma can be transfused to patients of all other blood types. AB plasma is also usually in short supply. With the advancement in techniques, donating blood is a safe process. A sterile needle is used only once for each donor and then discarded. The actual blood donation typically takes less than 10-12 minutes. The entire process, from the time you arrive to the time you leave, takes about an hour and 15 min. The average adult has about 10 units of blood in his body. Roughly 1 unit is given during a donation. A healthy donor may donate red blood cells every 56 days, or double red cells every 112 days. A healthy donor may donate platelets as few as 7 days apart, but a maximum of 24 times a year. Donors can give either whole blood or specific blood components only. The process of donating specific blood components – red cells, plasma or platelets – is called apheresis. There are always good Samaritans, who help others by donating blood. Often there are touching scenes in the wake of unfortunate accidents and destructive terror incidents – with good people lining up in queue to donate blood and save lives. Long live their tribe. There are four main blood types: A, B, AB and O. The World remains indebted to Karl Landsteiner, who discovered the first 3 human blood groups. Remembering his achievements, June 14th is celebrated as ‘World Blood donors day’ every year. SYMA also has been actively propagating blood donation. Our volunteers regularly donate blood and we utilized the hype of World Cup 2011 by organizing a Cricket competition thereby enlisting more blood donors in our fold ….. there are many voluntary Organisations which regularly conduct blood donation camps and propagate the values and need of blood donation. 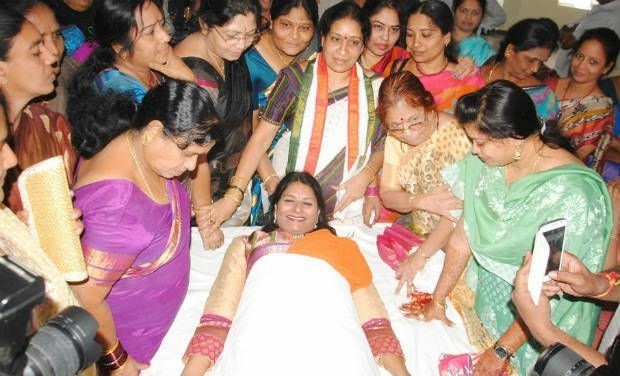 Plumbing new depths of sycophancy, dozens of Mahila Congress activists happily posed for photographs claiming that they had donated blood to mark the birthday of party president Sonia Gandhi, at Gandhi Bhavan in Hyderabad on Monday. The problem, however, was that very few of them — three by our count — had actually donated blood. The rest merrily posed for pictures on the stretcher. State Mahila Congress president Akula Lalitha said that 15 activists had donated blood. She said it was common for publicity hounds to pose for pictures with fake claims. Doctors from Red Cross Society, Barkatpura, who collected the blood, said that they had faced such situations many a times.